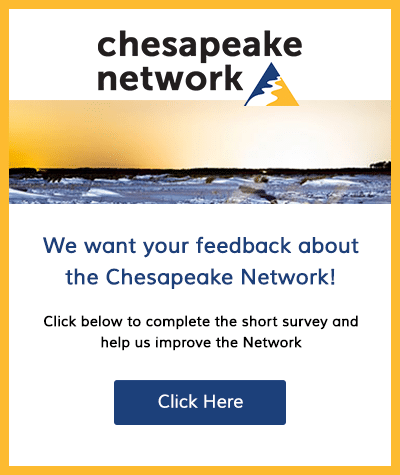 The Chesapeake Bay Foundation seeks a Captain/Educator for our island environmental education center on Port Isobel, next to Tangier Island, VA. This position is residential and the Captain/Educator must stay on site for all field programs during our education season from March through December. This is a fulltime position that is exempt from overtime. CBF’s headquarters office in Annapolis, MD is the Philip Merrill Environmental Center, the world’s first U.S. Green Build Council’s LEED platinum building. In 2014, CBF opened The Brock Environmental Center in Virginia Beach, VA. The Brock Center is one of the most energy efficient, environmentally smart buildings in the world. Each of CBF’s 15 education programs has its own individual character. The field experience options run the gamut from the urban boat programs in Baltimore and Hampton Roads to Pennsylvania canoe programs to remote island-based residential centers. We use hands-on experiential teaching techniques to educate students about the health of the Bay and connect them back to their local environment. Educators promote and develop citizen knowledge about the Bay by providing unforgettable, hands-on, student lead experiences that inspire them with a commitment to take action for the restoration of the Bay. The Port Isobel Education Center is a 250-acre island that is situated in the heart of the Tangier Island archipelago. The island showcases a variety of estuarine habitats such as: marshes, a pine forest, and a ¼ mile beach. The program is focused on understanding the delicate relationship between the ecosystem and the watermen’s’ community of Tangier. The full-time, on-site staff consists of a Captain, Program Manager, and Assistant Manager. All program staff serve as co-educators who plan and facilitate the field experiences for students. Using a 50-ft USCG inspected vessel, canoes, and the surrounding marshes, the participants explore various ecosystems, examine plant and animal species, analyze water quality, and discuss the socio-economic issues facing residents of the Bay watershed, in general, and the local watermen communities. The Port Isobel Captain is responsible for maintaining the USCG inspected vessel and providing educational experiences for participants that includes activities such as setting crab pots, dredging for oysters, and scraping the nearby underwater grass meadows. During the fall and spring seasons, the Port Isobel Center staff typically lead 3-day field programs for students traveling from within the watershed. In the summer, and occasionally during the rest of the year, the center hosts a variety of trip participants including adult groups, teacher groups, and student leadership programs. Housing is provided and the captain must live on-site for education programming during the Spring, Summer, and Fall field program seasons. The centers are winterized from December – February and no housing is provided during that time. CBF offers a comprehensive benefits package to include: 20 vacation days, 10 sick days, health, vision, dental, life insurance, and a tax deferred annuity plan. 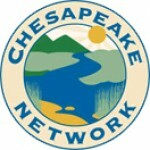 The Chesapeake Bay Foundation is an Equal Opportunity Employer.